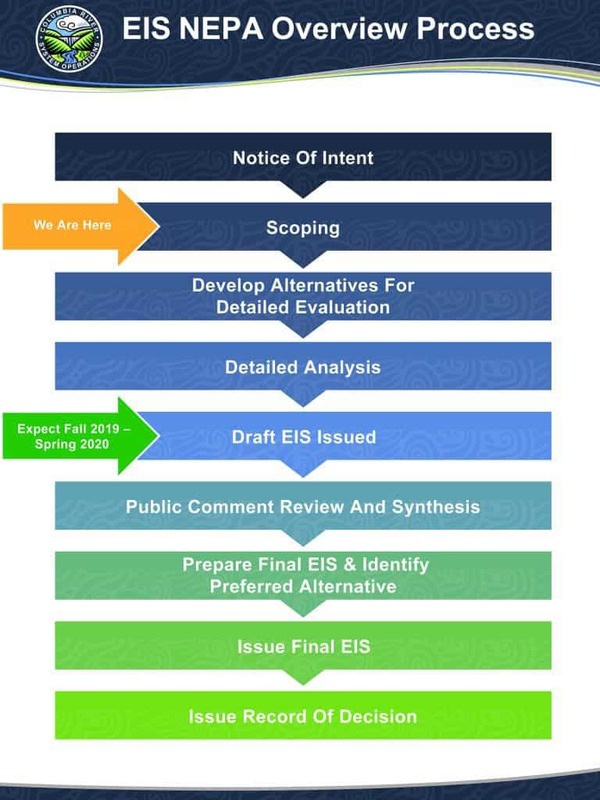 Federal agencies in charge of Columbia River System Operations are in the process of preparing an Environmental Impact Statement (EIS) for the system (see overview of the process below). Public comment for the scoping period closed on Feb. 7, 2017. The agencies are now working to draft the EIS, a process that is expected to take a few years. The Port of Lewiston will provide updates as the process moves forward and provide notice when the draft EIS is available for review and comment. Thank you to everyone who joined us in providing comments and questions during the scoping process. 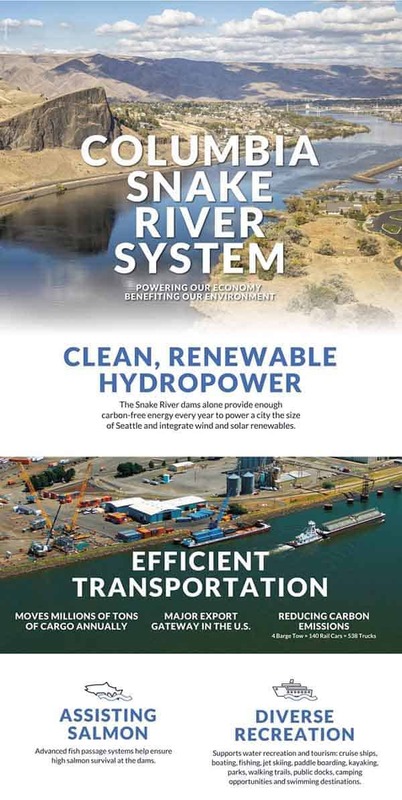 Alternatives considered for long-term river system operations could greatly impact our region, as we depend on the river for so many things – power generation, importing and exporting cargo, recreation, flood risk management, salmon recovery and more. It was imperative that your voice was heard in this process. Now, many important questions and concerns will be addressed, thanks to your participation by the Feb. 7 deadline. The EIS process was a directive from the latest court ruling in the ongoing debate about how best to balance the many benefits of the river system with the impacts to salmon and steelhead species protected under the Endangered Species Act. In 2016, Judge Michael Simon of the U.S. District Court for Oregon required the EIS and suggested it should include evaluation of alternatives like breaching mainstem dams throughout the system. The Port of Lewiston and many others believe that recent record returns demonstrate that salmon and dams can successfully co-exist.